Create a pop up web store where products are Categorized based on information architecture. The persona needs to find a specific product and complete a check out flow. 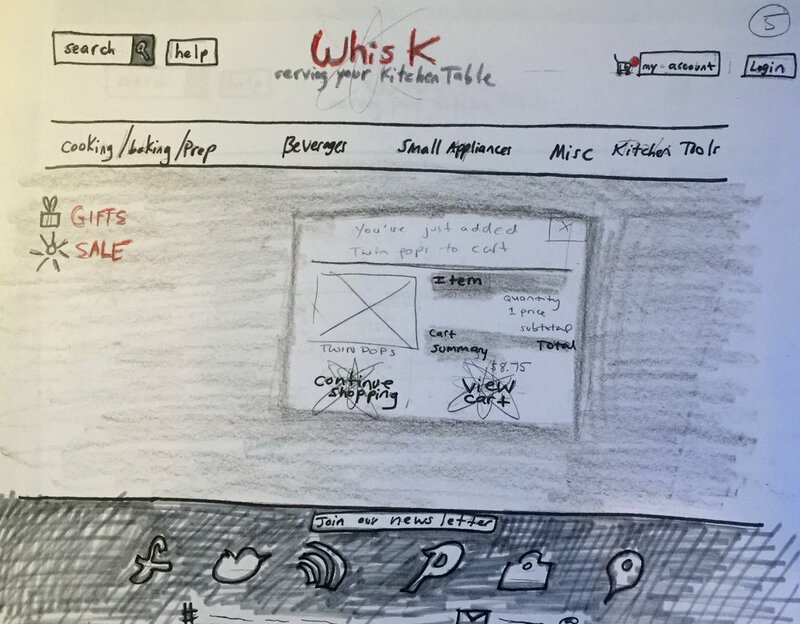 By analyzing the websites of similar stores in New York such as Fishs Eddy, Bed Bath and Beyond and Williams-Sonoma, I could further define the style of Whisk making it easier to choose a product and a pop-up store theme. This flow chart shows the persona navigating through the pop up store to find a gift for his daughter. He finds a twin pop mold then navigates through the check out process.